Acne is a common skin condition that usually affects teenagers and young adults. It occurs when the oily sebaceous glands of our skin over secrete the oily sebum, and the surface of the skin turns excessively oily and easily traps dust and other dirt. The continuous accumulation of excess oil, dust and dead cells clog the pores and forms a suitable ground for acne bacteria. Some symptoms can include pimples, red irritated skin, and painful pus filled spots. There are lots of cosmetic products that promise a cure for this, but most have side effects of their own. That is why the home remedies are the best way to deal with this problem. Egg whites are often used as a treatment for many skin and hair problems, including acne and acne scars. Is Egg White good for Treating Acne? Egg white is full of vitamins, amino acids and proteins that help in re-building the skin cells by soaking up the excess oil. It contains an enzyme called Lysozyme which annihilates the acne causing bacteria. Egg white, when applied on the skin, dries quickly, cleanses the skin and absorbs the excess oil. It acts as mild astringent to prevent further formations. It has an exfoliating effect on the skin that removes the accumulated dirt and dead skin cells. Egg whites contain a protein compound known as albumin that acts as a natural anti-viral agent to fight acne bacteria. The compound destroys the cell structure of bacteria and kills the micro-organism. It shrinks the skin pores to prevent the accumulation of dirt. It is rich in proteins that act as building blocks of skin tissue. It is a great source of B – vitamins which has powerful anti – oxidants to protect the skin cells from damage. It also nourishes the skin and promotes cell repair. Egg whites clean the skin and prevent bacteria growth. 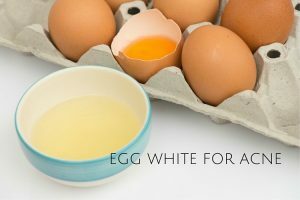 How to use Egg White for Acne? Egg white soaks up the excess oil to prevent acne and also fades its scars. This process is also very effective in treating back acne, chest acne and cystic acne. Wash your face with water and pat dry with a soft towel. Separate egg whites from 3 eggs and whisk them for few minutes. Apply a layer of egg white on the face. Wait for few minutes and then apply another coat on it. Leave it on for a few minutes to dry. Wash your face with warm water then pat the skin dry. Alternatively, after applying the egg white, you can place tissue papers all over the face. Coat another layer on the tissue papers and leave it on for 15 – 20 minutes. Peel off the tissues and wipe your face gently with wet towel followed by lukewarm water and cool water to tighten up the skin pores. Note: The application of egg white dries out the skin completely. In response to the over dry skin, our skin may start producing excess oils than required which again triggers acne. So, it is very important to apply moisturizer after trying out the egg white treatments. Here are some of the best moisturizers we recommend for acne prone skin. This face mask helps to tighten the skin pores and prevent the bacteria. It soothes the irritation and redness. Combine 1 egg white and 1 tablespoon of honey. Slather the mixture all over your face avoiding the areas around the eyes. Leave it on until it begins to tighten. Mix egg whites and 4 drops of tea tree oil. Stir it well and apply this mixture as a facial mask on the affected skin. Leave for 15 – 20 minutes and wash off with lukewarm water. Dry the skin and apply moisturizer. Continue applying this facial mask once or twice in a week. Both egg white and lemon has natural astringent properties that help to constrict and shrink the pores to push out the dirt and excess oil. Whisk egg white and fresh lemon juice together. Wash your face with water and pat it dry with a towel. Apply the mixture, avoiding the mouth and eyes. Leave for 15 – 20 minutes and wash with warm water followed by cool water. Dry the skin and apply some light, oil free moisturizer. Mix 1/2 teaspoon each of whole wheat powder and lemon juice in 2 teaspoons of diatomaceous earth and egg white to make fine paste. Apply this all over your face and scrub it in circular motions. Wash it off after 10 – 15 minutes with cold water. Follow this process once or twice in a week. Note: You can also add a little rose water and 1 teaspoon of apple cider vinegar for additional benefits. Baking soda has a micro – dermabrasion property which makes skin soft and beautiful. It also neutralizes the pH level of the skin with its amphoteric property. Yogurt soothes the skin and relieves redness, irritation and inflammation. Mix 2 tablespoons each of baking soda and fresh lemon juice, 1/4 cup of low fat (fat free) plain yogurt and 3 egg whites. Let it sit for 20 – 30 minutes to dry. This mask clears the excess oil on the skin and reduces the rashes. It also moisturizes the skin and provides an anti – bacterial shield. Lemon juice repairs the oily skin and honey soothes the skin to prevent the irritation and inflammation. Whisk an egg white and add 1 tablespoon of honey and lemon juice. Wash your face and neck to open up the pores. Dry the skin and apply the paste. Allow it to dry for 10 – 15 minutes and scrub gently with wet hands in circular motions. Wash it with lukewarm water and pat dry your skin with soft towel. Aapply some oil free moisturizer. Continue applying this mask once or twice in a week. This face mask moisturizes the skin, and yogurt treats dry and flaky skin to prevent acne. Mash half a ripe avocado and add 1 egg white and 1 teaspoon of yogurt. Stir all these ingredients well and apply this paste on the affected skin. Leave for 15 – 20 minutes then wash with water. Repeat the same process once or twice in a week. Prepare a cup of green tea and allow it to cool down. Mix an egg white in it and apply on cleansed skin. Let it dry for few minutes and rinse your face with warm water. Grind a small amount of oatmeal, wheat and rice. Add egg white to make a thick paste. Apply this on the face and scrub gently. Let it dry for few minutes and rinse your face with cold milk and then with water. This mask clears acne and its scars and also has a lightening effect on the skin. Whisk 1 egg white and add 1 tablespoon each of mint leaf paste and rosewater along with 1 teaspoon of cornmeal. Mix all these ingredients to make fine paste. Leave for 15 – 20 minutes then wash off with water. Olive oil moisturizes the skin to make it soft and acne free. Combine 1 teaspoon of extra – virgin olive oil and 1 egg white. Leave for a few minutes then wash off with water. Add 1 tablespoon of ground oatmeal in this mix. Apply on the face and massage in circular motions. After 15 minutes wash off with warm water. Splash it with cold water to close the skin pores. This face mask is very effective in treating acne and its symptoms. Combine 1 egg white, 1 teaspoon of milk and a few drops of raw honey. Apply on the affected skin using a cosmetic brush. Wash it off with warm water and rub the skin gently. Wash your face with water again to remove the smell. This process is used to treat cystic acne as well. Combine 2 tablespoons of baking soda in 1 egg white. Leave for 20 – 25 minutes then wash with lukewarm water. Cut cucumber into 3 cm piece and blend into the egg white using a blender. Leave for 15 – 20 minutes then wash with warm water. Lavender oil has antiseptic and antibacterial properties that prevent acne spreading. Whisk an egg white and add a few drops of lavender oil in it. Mix it well and apply on the affected skin. Leave for a few minutes then wash it off with water. Oatmeal soothes and exfoliates the skin to remove dead skin cells and clears the excess oil to prevent acne. Mix 1/2 cup of cooked oatmeal, 1 teaspoon of olive oil and 1 egg white. Apply this on the affected skin as a face mask. Leave for 30 minutes and wash off with water. Add 1 teaspoon each of oatmeal and honey in an egg white. Mix it well and apply this mix on the affected skin. Leave for 20-25 minutes then wash off with a cloth soaked in warm water. Dry your skin and apply some natural moisturizer. Yogurt has an anti – bacterial property that eliminates the bacteria and also soothes the inflamed acne. Combine an egg white and 1 tablespoon of yogurt. Leave for 10 – 15 minutes, rinse it off with water and pat the skin dry. Aloe vera’s anti-microbial property fights with bacteria and it’s astringent and moisturizing property leaves skin smooth and supple. This mask is used to treat acne on oily skin. Mix 2 tablespoons of aloe vera gel and 1 teaspoon of fresh lemon juice in 1 whipped egg white. Wash it off with water after drying. Banana contains lutein, a powerful anti-oxidant that reduces acne and encourages healthy skin development. Mix 1 tablespoon of mashed banana and 1 teaspoon of lemon juice in 1 whipped egg white. Apply this on the affected skin as a mask. Leave for 15 – 20 minutes to dry. Avocado contains vitamins A, B, C and E and minerals like potassium and iron along with fatty acids and anti-oxidants. This combination controls the sebum production and fights against the bacteria. Beat an egg white and mix in 1/4 of mashed ripe avocado. Apply on the affected skin after cleaning. Apply this face mask once or twice in a week. Note: You can add 1 tablespoon of fresh lemon juice. Grind dried orange peel to make a powder and mix in two egg whites. Allow it to dry for few minutes and wash off with water. Or use crushed garlic cloves or garlic paste instead of orange peel. Coconut oil has anti – bacterial, antiseptic and anti – inflammatory properties. Beat an egg white and mix in a few drops of organic coconut oil. Leave for 15 – 20 minutes and wash it with tepid and de – chlorinated water. Follow these tips and precautions for best results with no side effects. Make sure not to use egg yolk instead of egg white. Tie your hair up first so no mask gets in it. Never apply these face masks on the eye or mouth areas as these are sensitive, also try not to move too much when the mask is on. Conduct a patch test to make sure you are not allergic to egg first. If you are concerned about the contamination of egg white, use pasteurized egg whites. As well as following these egg white remedies, you have to follow a healthy diet, proper hygiene and lifestyle habits and regular exercise. Do you know more egg white remedies for acne? Then please share you experience with us. It is difficult to the exact time as everyone has different skin type. For quick results, apart from using above mentioned remedies, eat a nutritional diet, avoid oily foods and wash your face at least 2 times a day. Can i only use milk with egg white and what will it give results then? Yes, you can. This combination can also help in reducing the pimples. Try it and share your experience. As your skin is already dry, it is better to avoid egg white application as it will dry out your skin further. You can use remedies, mentioned in this article – homeremediesforlife.com/avocado-for-acne/. It is because the lotion you use may have clogged the pores. To avoid breakouts, use oil free lotions that don’t clog the pores. Im using egg white and calamansi as my facial mask.. I do it every night before i go to bed. Wash it by cold water on morning, is my practice advisable??? It is better to follow the process thrice in a week instead of using it daily. I have redhead black head & pimples holes on my face. My skin is oily. my age is about 16 can i use this egg white mask?? Should egg white be used daily or once a week? Hows that? It is better to avoid egg white application daily as it can dry out the skin completely. Dry skin can trigger excess production oil to stay moisturized and eventually lead to breakouts. You can try egg white packs 3 times in a week. Can i use olive oil or coconut oil as a moisturizer? Yes, you can. If interested, you can also try any one of the moisturizers provided in this article. They are perfect for acne prone skin. since i have alot of the mixture left, is it okay to leave it in the refrigerator and use it again in about two days? Yes, you can but the fresh ones will provide more effective results. As you want to keep it for 2 days, make sure the mixture is not contaminated before applying it. Next time when you prepare the mixture, don’t forget to reduce the quantities. I am now in a process to reducing my pimple. I have pimple, scar and oily skin. Can I use this egg white mask? Yes, you can use egg white to reduce pimple and oiliness. : Yes, you can use. 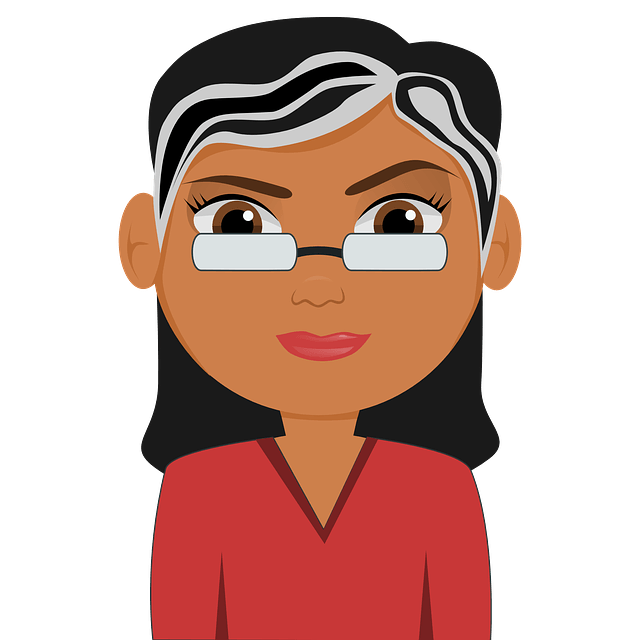 Please share your experience with us after trying the process. I’ve recently stopped using a toner and still using a gel recommended by my dermatologist. Am I allowed to use egg whites despite this? Yes, you can use egg whites even though you are using the gel recommended by dermatologist. Try 1, 4, or 10th method mentioned in the above article. It is better to avoid facial cleanser for at least 4 – 5 hours after egg white procedure. Clean thoroughly with warm water to remove the application. I have serious acne problem which produces white matter .My skin is also oily .Which metod is suitable fo my skin? You can try 2, 3, 5 or 18th method mentioned in the article. Apart from that, you can try the method mentioned in this article http://homeremediesforlife.com/acne/ to prevent new acne formations. I got redness/inflammation due to the acne scars. And Im started to just use white eggs overnight. will this works.? And can you give advice on how to reduce those redness due to the acne scars? Yes, it works. To reduce the redness and inflammation you can apply some aloe vera gel. I have painful pimples on my face. Which of the remedies should I try out and how long before I start getting results? You can try 2, 7, or 14th method mentioned above in the article. You can observe improvement in 2 – 3 weeks if followed regularly. Can I use egg white with sugar? i have dark mark on my face resulting from injuring i have from an accident,wwhat should i use? Apply some freshly extracted aloe vera gel on the dark mark and leave it to dry completely before washing off. Repeat the application 2 – 3 times in a day until the dark marks fades off. pls can it also be applied on a dark neck. Can i use Egg white Only ? is that applicable? I brushed egg white on my face, neck and chest and this morning I have little bumps or rash on chest and neck. My face is fine but very dry. I moisturized everything afterward. Will this rash go away? What is the best remedy that one Can use daily without negative effects? You have by far the most comprehensive list of egg white face masks recipes that I have ever seen.